Image source: The 8th Amendment. So - the day has been set to hold a referendum to repeal the 8th Amendment to the Constitution with the 36th Amendment. 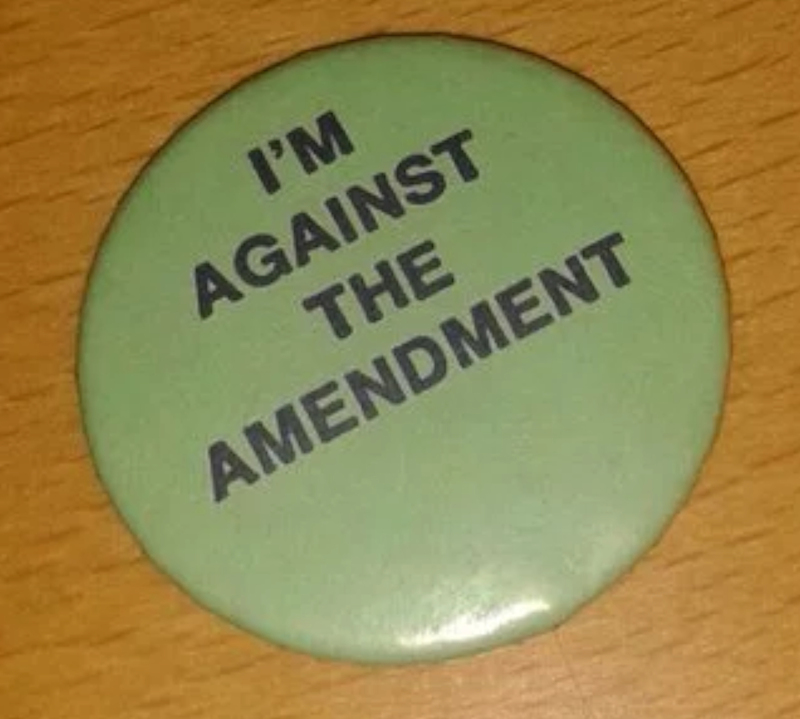 Back in 1983, when the 8th Amendment referendum was held, I was against it and voted "No". I even had the badge (much to my Mum's annoyance) to show it. I recall it was a very divisive referendum campaign which at times was reduced to whether you were a baby killer or not. It was put into the Constitution by narrow-minded (but well-meaning) people who expected it to be a guarantee forever that abortion would not be introduced into Ireland. Who knew then that it would only take 35 years to reverse it (as I fully expect the electorate to do so). In September 1983 I was just 23 years old, and was a student in Trinity at the time. I felt it was cool to wear a badge (I had an anti-nuke one too). I have always been pro-choice, but I definitely had no understanding of the implications of the amendment at the time - nobody predicted events like the X case or the multiple referendums as a consequence since. I suppose nobody would have predicted at either that religion would become a minor, rather than major part of our lives. I certainly hope that this is the last time I will be asked to vote on abortion.